Here's something I drew up for my XT35 turbo-prop nacelle for the Hughes HK-1, it might work for this with a bit of modification. The props in the B-60 drawing scale out to 11'-0" diameter, I'd of thought they would've been bigger, hmm, in my drawing below I'm working on 18'-0" diameter props. So does anyone have drawings of the proposed installation of that huge Lycoming liquid-cooled radial engine (R7755) that was proposed for a B-36 upgrade. I could see that in either a pusher or tractor configuration and, from the Wikipedia, the more production-ready version would have been set up for contra-props from the beginning. In addition to a B-36 upgrade, I could see this on a F8B-2 and a later-version P-72. 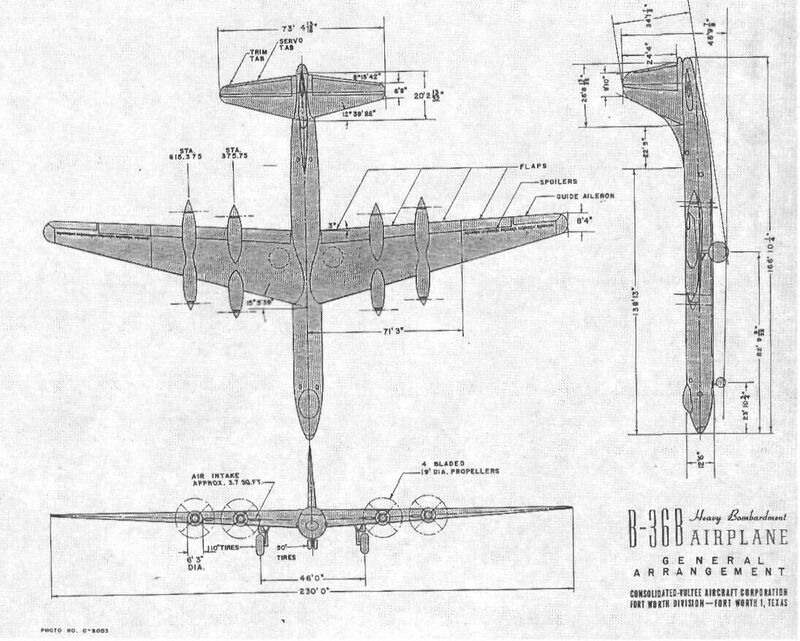 'Cept do the C-99 with the turboprops that would have powered a production B-60. 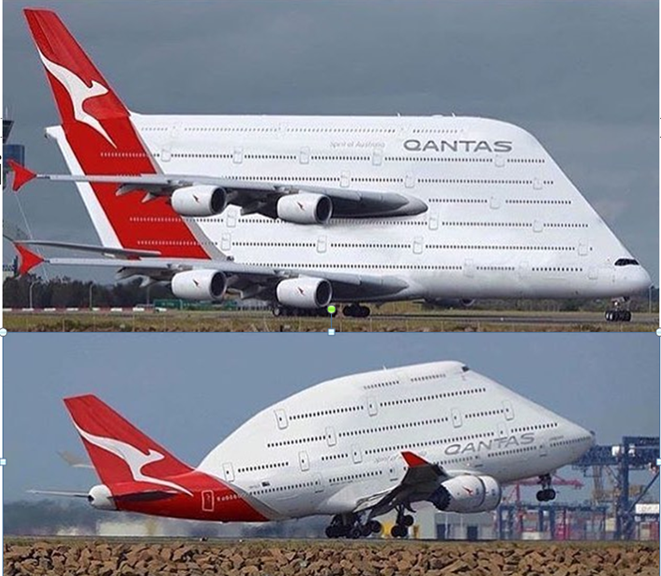 Would there be any drawings of the turbo-prop nacelle themselves Jon ? I can't find anything in my resources. Though it is interesting to note that the YB-60 used the same pylons/engine mounts as the B-52. Perhaps simply utilise that from a B-52? Regarding the Turboprop of choice, engines under discussion by late 1950 included the Pratt & Whitney T34, developing 5,700 hp, the British Bristol coupled Proteus, generating 6,700 hp, and the Allison T40. 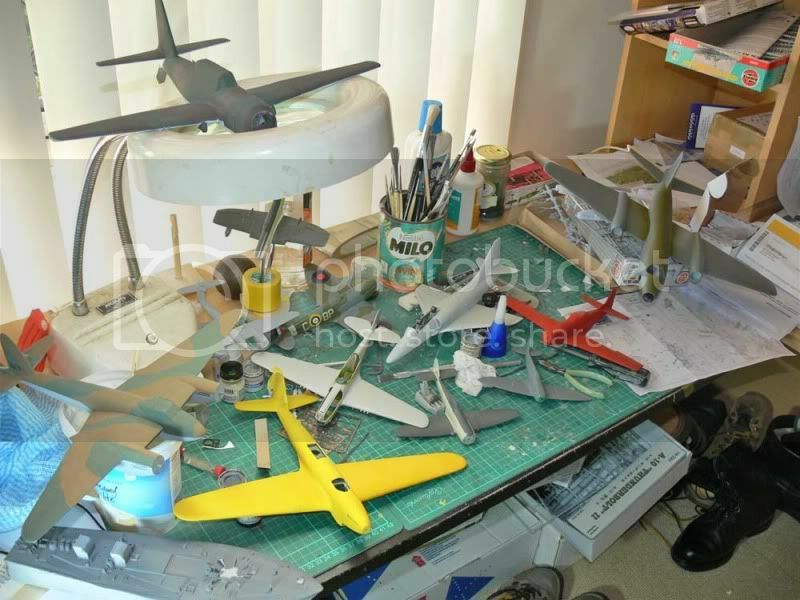 Monogram 1/72 kit: Two forward fuselages glued back to back, upper canopy removed/filled. Wings from a Revell 1/32 glider. Testors Cessna Skymaster main gear fore and aft. Rescribe, paint white. Put some real solar cell on the dorsal surfaces. I can't find anything in my resources. Though it is interesting to not that the YB-60 used the same pylons/engine mounts as the B-52. Four of the T57 nacelles from the XC-132 would also work. 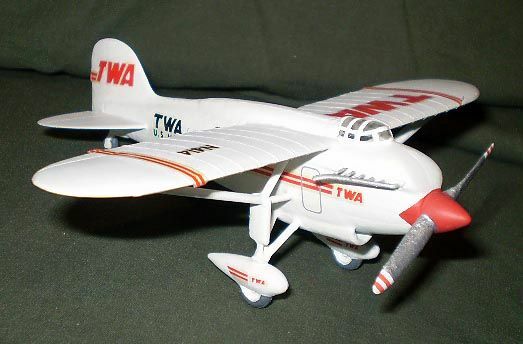 T40 nacelles can be obtained, for drawing purposes, from the Boeing XB-55 (for that matter, I believe Anigrand does one of these in 1/144). Keep wondering how a C-99 would serve as a basis for a British AEW aircraft, a big brother to their Stratocruiser conversion and, likely an easier conversion to do. 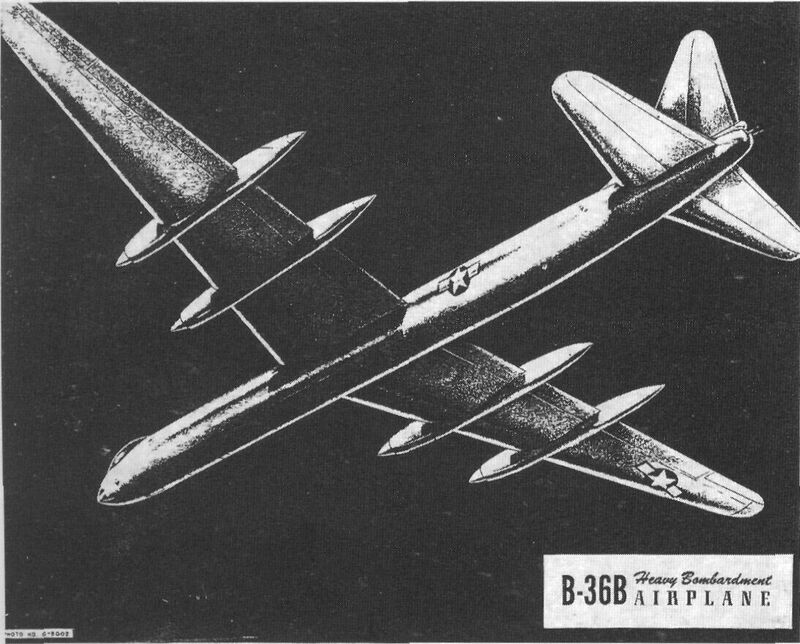 An early study for the production B-36B airplane. In place of six Pratt & Whitney R-4360 Wasp Major pusher engines, it would instead have used eight XT35-W-1 Curtiss-Wright gas turbines under development at the time. 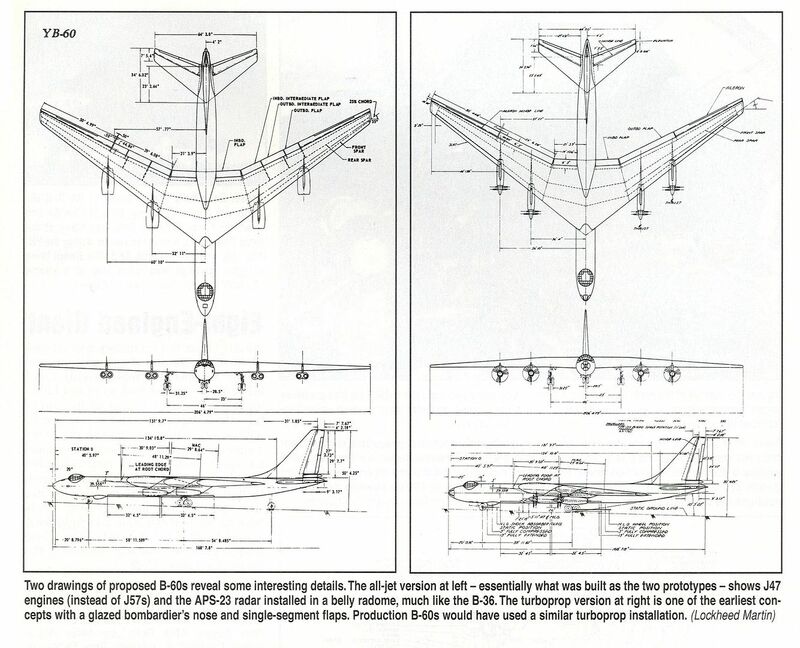 The turbines would have been placed in four tandem nacelles. Top speed would supposedly been 448 mph at 20,000 ft. Convair offered in February 1947 to install the gas turbines on one B-36 test plane. The installation was to have cost less than $1.5 million and was to be finished by April 1948. So does anyone have drawings of the proposed installation of that huge Lycoming liquid-cooled radial engine (R7755) that was proposed for a B-36 upgrade. Haven't heard of that proposal. Will research more. Not as "high-tech" perhaps as eight XT35's, but eight XR7755's would have had the same horsepower and likely could've used the same propellers. The radiators would've required soem nacelle design changes, but nothing major compared to what's already shown here. From what I've read, the XR7755 was intended as the ultimate B-36 engine, but never finished development as the development of gas turbine engines eclipsed it. That is an awesome motor Evan, seen a couple of pics of it. IIRC, the power output was to be about 5000 -5500 hp but I've also read that some Napier Sabre VII's were bench tested to 5500 hp, an engine that was less than half the size and weighed way less. I know they were only bench-tested but then the RR Eagle H24 wasn't much bigger than the Sabre and fully developed was also rated at 5000 hp. Was a fully developed XR7755 supposed to be much more powerful say up around 7000 hp ? I'd reckon it likely could have been, but development was never completed. Considering that it was liquid-cooled, I'd expect a fully developed R7755 to easily make 7000 hp once it was fully sorted out. Given the XR-7755 was bigger than the R-4360 in every dimension (length, diameter and most importantly weight (not including the cooling system as well)) I question if the XR-7755 would have reduced performance. Though on the plus side, maybe it would have been more reliable in service. Either way, I have searched my references and have not seen anything showing it.